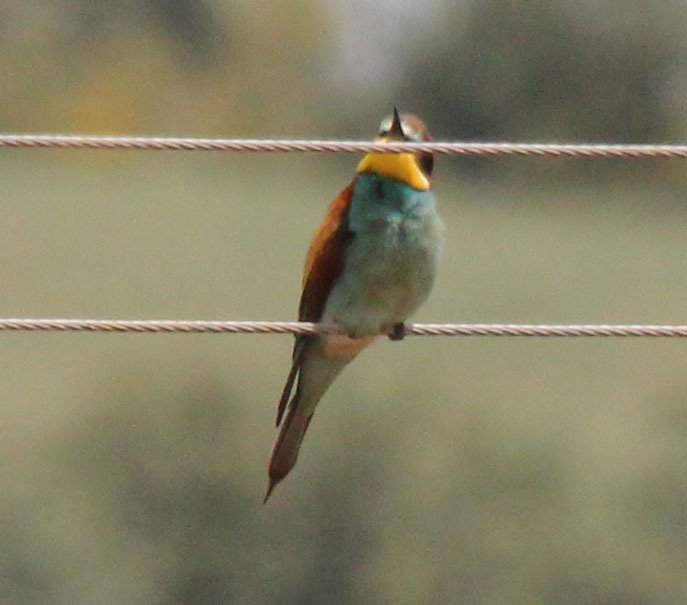 Andalucía is a birdwatcher’s paradise and attracts ornithologists throughout the year. The best time of the year, however, is during the spring, as this is when you can see many wintering species, together with those arriving for the summer months. Our local swallow and swift population start arriving from mid-March whilst our Red-legged Partridges can be heard clucking around the Cortijo all year! There are some 13 resident raptor species in Andalucía, as well as several which migrate here annually from Africa. The best place to see them is in the more hilly parts of the province where they hover or circle high in the sky. (We have seen Eagle Owls and Three-toed Eagles, plus Buzzards, Egyptian Vultures and Black Kites in plenty in the nearby mountains of Sierra de Loja). 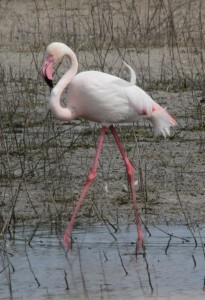 Water birds are far more plentiful, with many species, particularly in the wetlands area along the Atlantic coast. 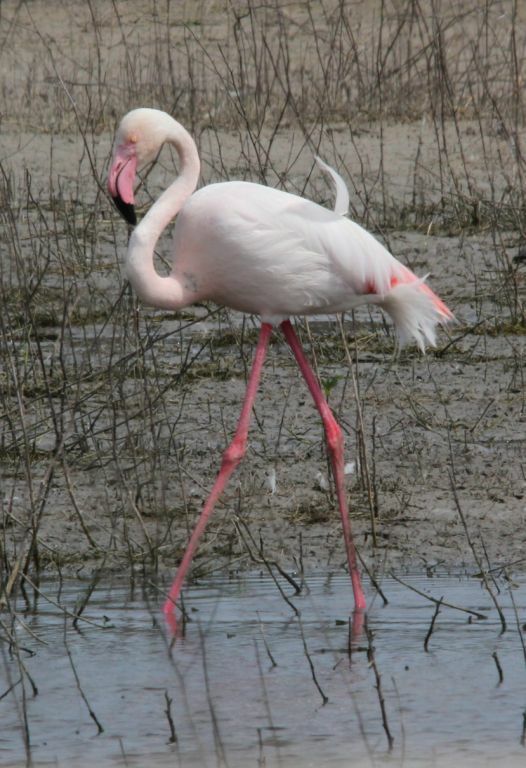 These include wild ducks and flamingos; the latter can be seen in several other places including La Fuente de Piedra (about an hour’s drive from Cortijo las Rosas). 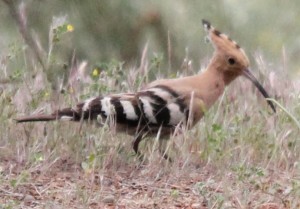 The orange, black and white Hoopoe is a similarly striking bird, common in open woodlands and golf courses. Also worth seeing is the gold, brown and turquoise European Bee-eater, which nests in sandy banks in summer and, last but not least, various woodpeckers and owls which generally inhabit mountainous woodlands. 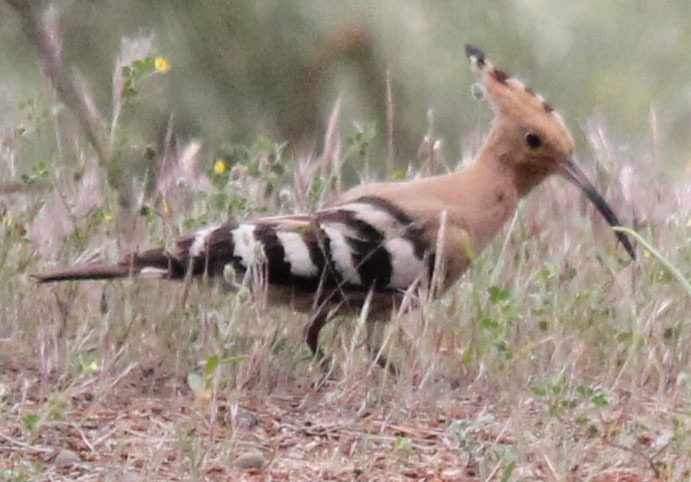 (Both Hoopoes and Bee-eaters are commonly seen around our Cortijo). The month of April means the call of Cuckoos around the Cortijo as well as the song of Nightingales from our valley. 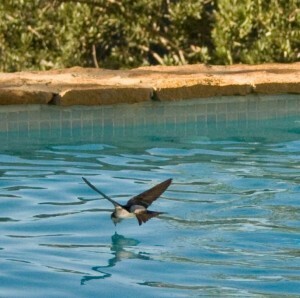 A list of commonly-seen birds around the Cortijo as well as reference books are available at Las Rosas. Basically Birding is run by a local enthusiast, Doreen Cage, who arranges accompanied bird watching tours. She can be contacted on bbirding@wanadoo.es or (+34) 95 274 5028 (+34) 95 274 5028.